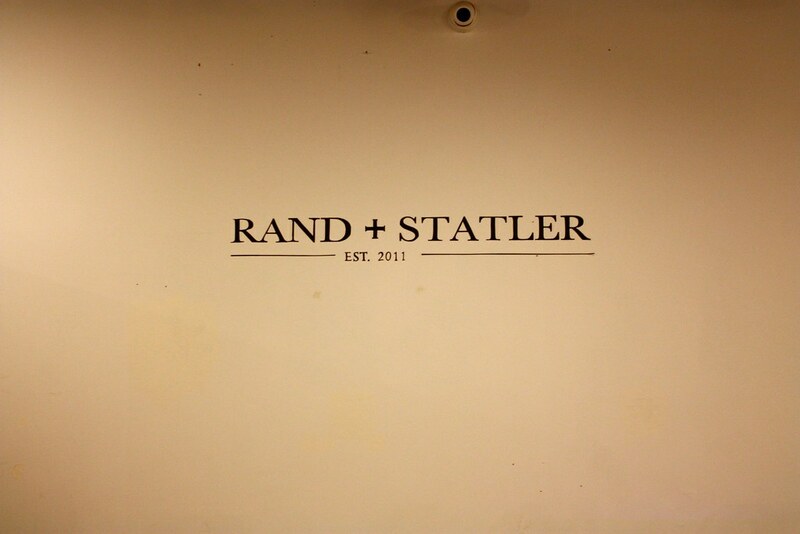 Last week Rand + Statler celebrated their second birthday at their store in Hayes Valley, San Francisco with the helps of Refinery 29 and hosts Sophie Buhai and Lisa Mayock of Vena Cava. Naturally, the city's most stylish all turned up to help celebrate. As usual, I had my eyes on the hands of the party goers. Amid the sea of naked nails (mostly likely ready for the Pams & Kin mani station at the back of the store) here are the manicures that caught my eye. 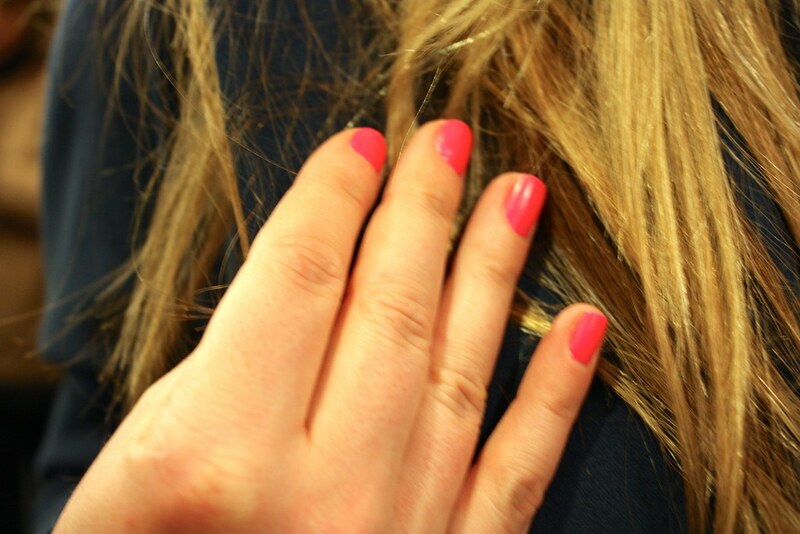 Joanna Riedl and party-goer Seema were both spotting hot pink digits, another popular hue in San Francisco this spring. Sarah of The Weekend Diary was in pretty in light pink. 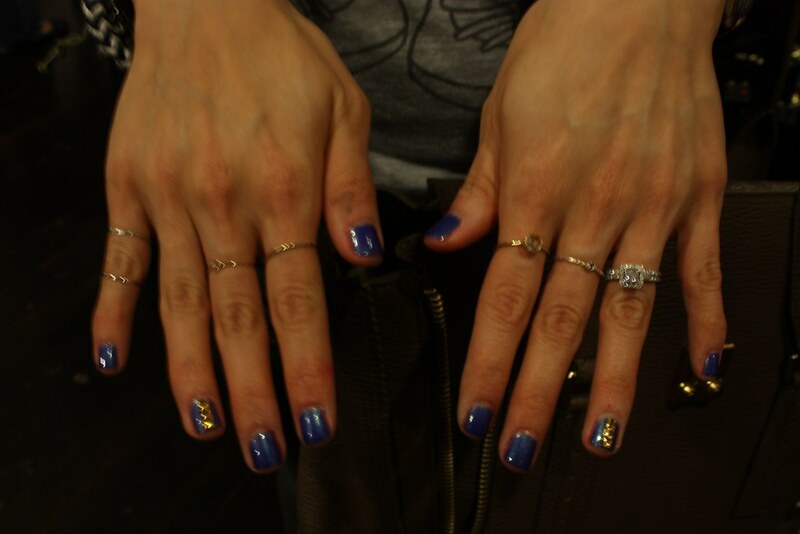 Fresh from the Pams & Kin station was Nancy from Adore to Adorn's nails in a deep indigo color with glittery gold accents. 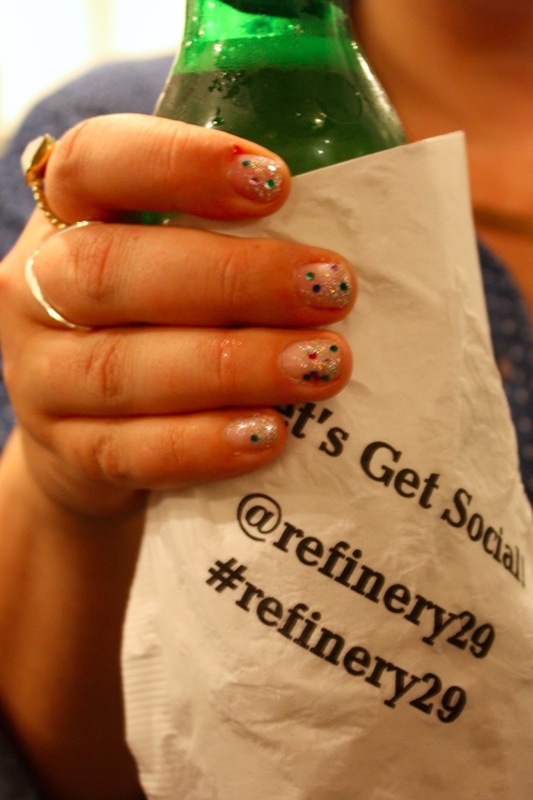 Amanda of Fashionablee Me socialized while sporting a super glittery manicure. 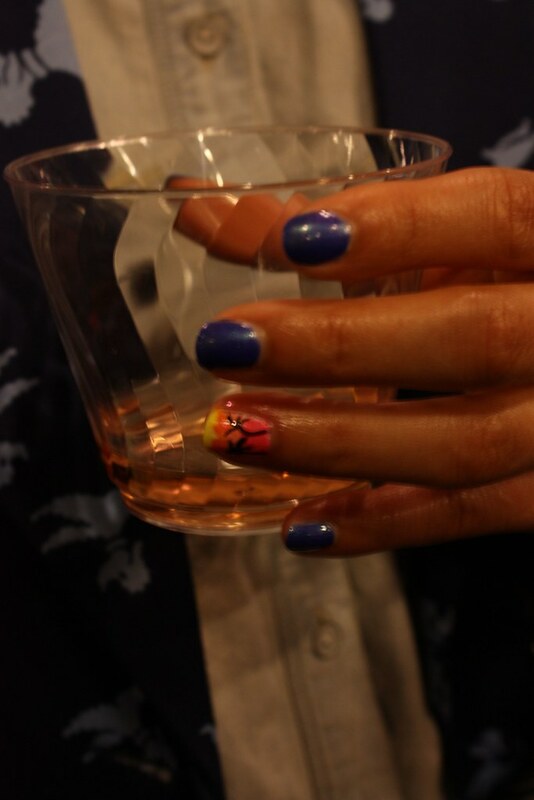 My favorite of the night was spotted on Carlina of Allergic to Vanilla with an indigo mani and a sunset-themed accent nail. 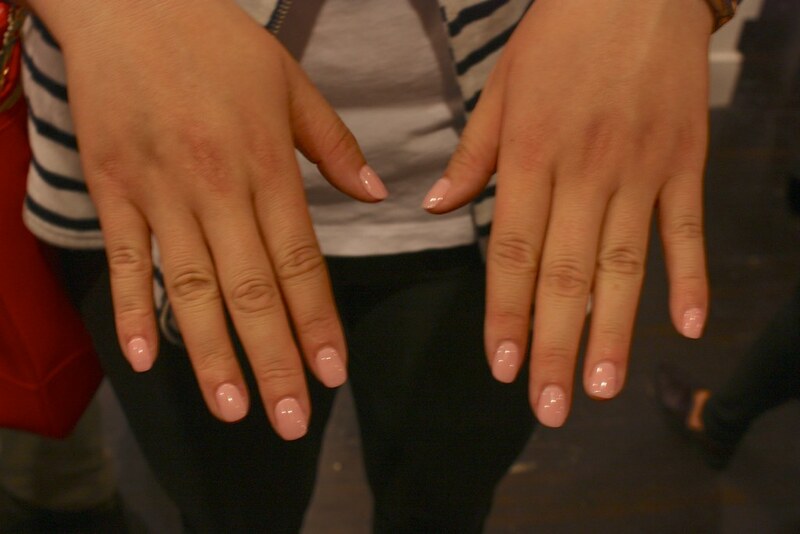 Yay for fabulous manis! 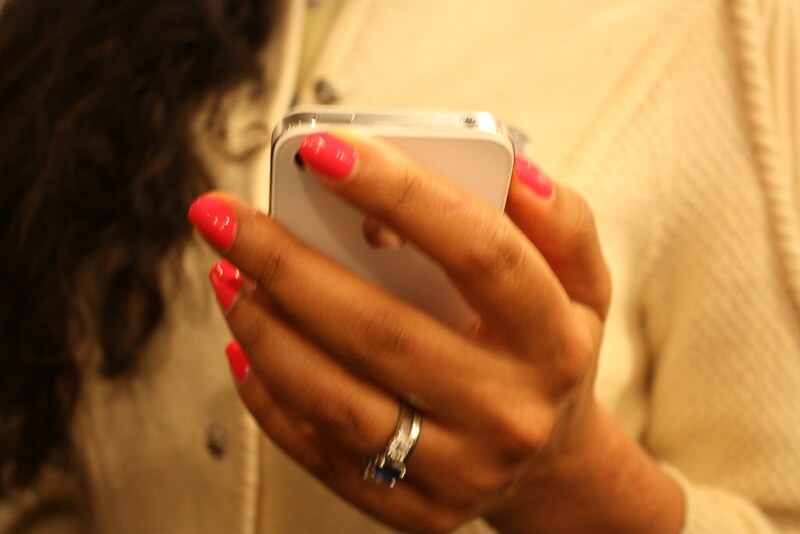 You should have added a shot of your perty nails too!! Awwww. mine was your fav of the night?! So sweet, the P&K crew def did them justice! Loved seeing you, missy!